Are you a fan of Korean Beauty? Love your Laneige, Innisfree and Faceshop, then here is another brand that you need to add to your shopping list. Called ISOI, it stands for I SO INTELLIGENT, a beauty range specializing in herbal active ingredients. I had the pleasure of being invited by fellow blogger Carrie for the launch hosted by Eric of Bud Cosmetics at the all vegetarian food cafe, Real Food. We had a rather fun activity that involved flower arrangements, which reminded me of the time I attended the L'Oreal Everstrong Workshop, where I ended with lesser flowers than when I started. It was a tough call as all the bloggers were pretty skilled and artistic and each masterpiece looked different. ISOI Intensive Sugar Scrub, which contains additional peony extract to slought dead skin and blackheads, with finely-milled sugar bits for ultra-gentle exfoliation. Personally testing their claims that its safe if accidentally consumed, I would say that its as sweet as it smells. 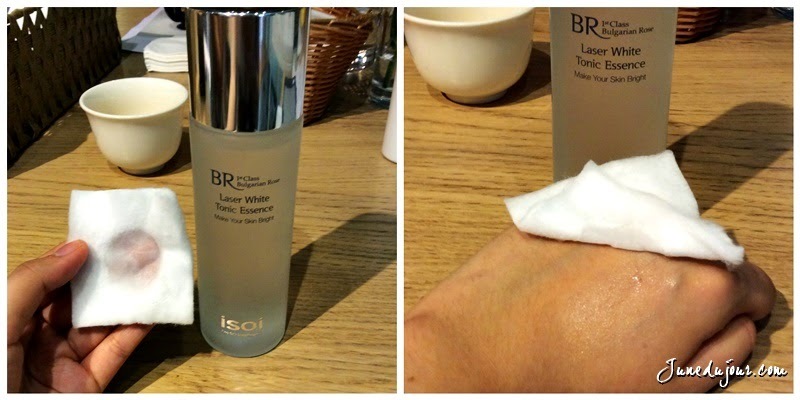 I'll be honest and say this bottle of ISOI Laser White Tonic Essence reminded me of the SKII product. There is a transient warm feeling as the watery essence gets absorbed into the skin. Recommended for lightening melanin spots caused by sun exposure. I thought this was pretty unique, a cleanser in a spray! This ISOI mild cleansing gel cleanser contains amino acid based natural surfactant, which means it doesn't irritate sensitive skin but still ensuring a thorough cleansing of makeup, sebum and impurities without stripping skin's natural barrier. PS: For some one who has a relatively sensitive complexion that's prone to outbreak from too rich a product, Bud Cosmetics has got me excited with its all natural, all organic products that they stock. Mad fun aside, I have never wanted to review something so excitedly until ISOI. My first impression of the 2 items was that beautiful scent of Bulgarian Rose that greets your nose each time you dispense the product. Here I have the Pore Tightening Jel Cream (50ml - $99). I've been on the lookout for a gel-type moisturizer for the longest time so when I got this I was a happy bird. A joy to use, it's clear watery gel texture glides easily onto skin and is fast absorbing to hydrate skin. 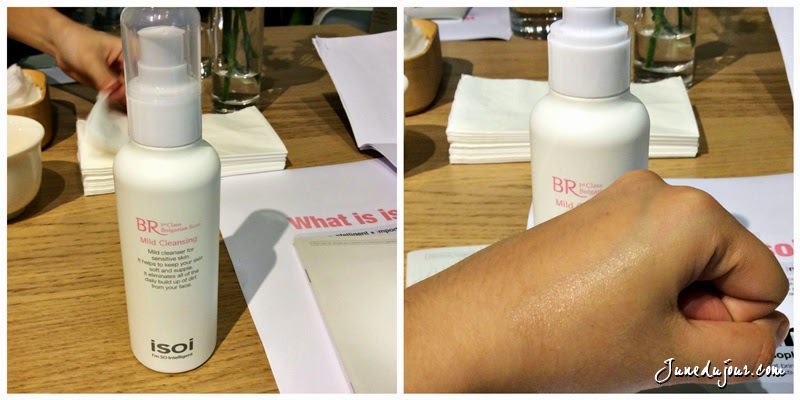 It promised to control sebum levels, which is perfect for an oily/ combination skin type like mine. It feels almost as though I splashed my face with rose-petal soaked waters, yet mattifies fast enough for me apply makeup after. 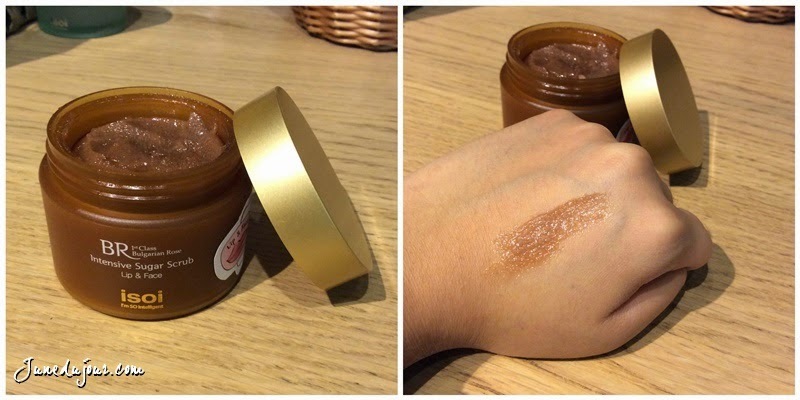 Perfect for day use, I also recommend it as an emollient for liquid foundations that are patchy to apply. A little goes a long way! For drier skin types however, you may find this abit on the light side. 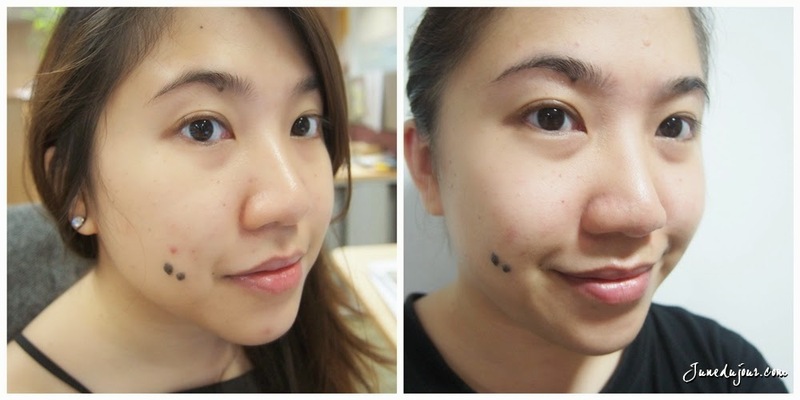 Although my complexion is relatively clear, I do have the occasional zit or two that annoys me. ISOI's Rose Blemish Care Serum (35ml - $92) will cost you the pretty penny, but I find it pretty decent to use. Similar consistency with the earlier moisturizer, this one adds on a layer of moisture while tackling and healing pimples. Before you belittle this little purple jar, hear me out. Acting abit like a gentle filler, the serum helps to by filling the sunken area with moisture, Arbutin and natural vitamins from Bulgarian rose oil helps to clear up and minimize red skin tone, even out skin tone and pigmentation . I like using this as an alternative to Aloe Vera to sooth inflammed areas, tackling the problem with its natural anti-trouble ingredients like Centella Asiatica (a kind of medicinal herb used in Ayurvedic medicine). You know how you how sometimes blemish products tend to have benzoyl peroxide that can be too harsh and dries up skin which causes it to flake? But this does the opposite, replenishing the skin's moisture for up to 24 hrs with its high quality rose oil. giving a boost to skin’s own regenerative power and fortifying skin's own protective barrier. I could see my redness lightening, and my overall complexion looking evened out and less bumpy then before. All products featured here are currently available on Bud Cosmetics website, you can shop them HERE!